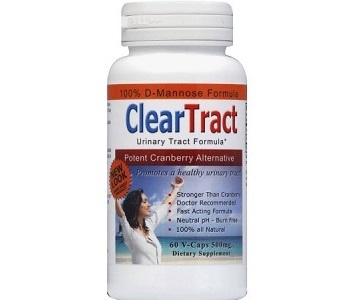 Cleartract D-Mannose Formula is a completely natural supplement that is designed to maintain the health of its user’s urinary tracts so that they do not develop an infection. The manufacturer claims that it is 10 times more potent than a cranberry formula. 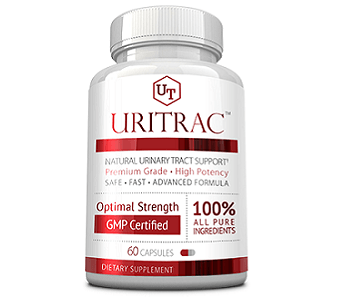 This review examines the accuracy of the statement and determines if this is a beneficial product to use for the maintenance of urinary tract health, especially in warding off an infection. The supplement contains 100% pure mannose as its active ingredient. Mannose is a sugar that helps to reduce the attachment of E. coli to the urinary tract wall and prevent it from causing an infection, because it is simply excreted in the urine. E. coli use microscopic structures to attach to the wall of the urinary tract, but when mannose is present, it blocks these microscopic structures so that they cannot attach. The research behind this action is quite convincing and scientists have determined that mannose is well absorbed and distributed to the urinary tract. There isn’t much evidence to support the fact that mannose is 10 times more effective than cranberry extract and in fact research mostly supports using these ingredients together. Therefore, a supplement like this one that only has mannose as its main ingredient is not as effective as others that have multiple ingredients. For the first four days of use, three capsules must be taken five times a day. After that, a maintenance dose of three capsules must be taken each day. The supplement can be taken with or without food. Each serving contains 1500 mg of mannose. Mannose can cause some digestive problems like bloating and gas production. There isn’t much research into the long-term effects of taking mannose daily. Pregnant women and nursing mothers should consult a physician before using this supplement. Cleartract D-Mannose Formula can be purchased online for $18.30. One package contains 60 capsules, which is 20 daily servings of the maintenance dose. This price is from a third-party online retailer but the manufacturer’s price is $19.67. These prices do not include delivery and taxes. We could not find any discounts offered for buying in bulk. The product is covered by a 30-day money back guarantee. The manufacturer urges its customers to contact them within the first few days if they have not received the results they are looking for. It is not completely clear whether this means that customers may return an empty package, for which they have tried all of the servings, or whether the manufacturer only refunds when under a certain portion has been used. Mannose is quite effective at reducing and preventing the onset of a urinary tract infection, but it should not be used alone, because it is less effective that way. The price of Cleartract D-Mannose is fairly reasonable, but the guarantee is a little bit unclear and may still pose some risk to the customer. Customers might consider trying formulas with multiple ingredients that are backed by a clear and risk-free guarantee.